Nebraska Wesleyan University has partnered with Inceptia to offer NWU students Financial Avenue. Financial Avenue is free to all NWU students. Financial Avenue teaches students and consumers about smart money management and a variety of topics that affect their personal finances. Financial Avenue will provide you with the knowledge and practical tools that send you on the road to a lifetime of financial success. Financial Avenue helps students understand the basics of personal finance so they feel confident and secure about how to manage their finances. Start your journey on Financial Avenue today! Register with access code r49727 to create your account. If a student loan is your first major credit experience, it's a good time to manage your credit health. 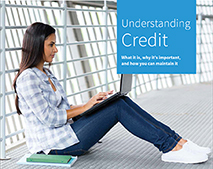 This Understanding Credit brochure (PDF) from SalieMae and FICO Score offers information on credit basics from credit cards to auto loans and home mortgages.